I turned 21 on Easter Sunday in Rome, squeezed amongst the throngs of people gathered in St. Peter’s Square as the pope gave us all a plenary indulgence. I am not Catholic or Christian or even particularly religious, but the fact that the slim speck of white far away on a balcony over the enormous piazza erased all previous sin in my life was emblematic of that annus mirabilis in my life. It was 1969 and I was on one of those junior-year-abroad junkets so popular with American college students--not in Rome (which I visited during an Easter vacation side trip), but in stodgy old Vienna. Other kids my age were off killing and being killed in Southeast Asia; I had a bad back and a high lottery number--4F and a lucky winner. My introduction to the world of belt and suspenders. I went to Vienna planning to become a lawyer; I left knowing I would be a writer. My introduction to the world of mutability. Our school in Vienna was located in a gloomy-looking city palace belonging to the Kinsky clan. The aged princess occupied the top floors; we boisterous Americans could occasionally see her wizened, disapproving face peering out behind lace curtains. Affiliated with the University of Vienna, we had a wonderful and often bizarre assortment of professors to school us in European history (he played an applause track on a tape recorder at the beginning of every lecture), art appreciation (she wore clothes reminiscent of each art period she lectured on), drama (his thin albino shins dotted with the occasional black hair always showed at the bottoms of his too-short trousers), Russian literature (he spoke haltingly, spraying spittle on the front row as he shuffled about the creaking parquet, his conjoined hands doing finger push-ups), and philosophy. You may notice I offer no mincing thumbnail sketch of the last-named. He was my favorite. British, but not overbearingly so. Challenging, but never dismissive of the “callow” American students as others were. He taught Ludwig Wittgenstein’s Tractatus. Another part of my annus mirabilis. That was the first class I ever had that made me think, made me analyze and read closely. That professor threw down the gauntlet of “the world is all that is the case,” and expected us not only to pick it up but also decipher it. I have been entranced with words--word sober rather than word drunk--ever since my gestalt at Wittgenstein’s plainspoken dictum: Whereof one cannot speak, thereof one must remain silent. Over the years I have read as much as I could about Wittgenstein, the ur-intellectual outsider, the child genius who built a model of a functioning sewing machine out of wood as a 10-year-old; the lonely brainiac forged in the fires of World War I, the eccentric who gave his wealth away, who whiled away afternoons at Cambridge watching cowboy films; the autodidact who wowed Keynes and Moore. I read Wittgenstein’s notebooks, Janik and Toulmin's Wittgenstein’s Vienna, Ray Monk’s bio, and Waugh’s House of Wittgenstein, among many others. I have loved tracing how Wittgenstein’s life intertwines with others in the fin de siècle world: attending the Linz Realschule with the young Adolf Hitler, coming of age in the city of Freud, Mahler, Schnitzler, Hugo von Hofmannsthal, Schiele, Klimt, Otto Wagner, Adolf Loos, Viktor Adler, Arnold Schoenberg, Alban Berg, and so many other seminal artists and thinkers of the 20th century--many of whom were guests in his parents’ drawing room. Six degrees of separation finds its crossroads in Vienna 1900. I can’t say that it was a class on Wittgenstein’s Tractatus that made me become a writer, no more than it was simply the pope giving me a free pass on the rest of the my life. It was that and much more: being introduced to a world so greatly at variance with the one I had grown up in, one that could make heroes of artists and intellectuals rather than sports stars. And it was Vienna itself. My first big city. Much of my published writing has dealt, directly or indirectly, with 1900-era Vienna, from my guides (Vienna Inside-Out and ViennaWalks) and my narrative history, Hitler in Vienna, 1907-1913, to my early thriller, Time of the Wolf, and now my historical series, all set in Vienna during the years just prior to World War I. With the third in that series, The Silence, out this month in the United States, I have finally come back to my early passion for Wittgenstein. The title, of course, is a tip of the hat to his famous maxim, “What we cannot speak about we must pass over in silence.” My novels are set when Wittgenstein was still a boy--thus, in The Silence we are introduced to an adolescent Wittgenstein, the boy in short pants with a thirst for engineering. Though not central to the story, the young Wittgenstein informs the proceedings and ultimately influences my protagonist, the lawyer-investigator Karl Werthen, to take extraordinary action. Werthen was well aware of the importance of Karl Wittgenstein. Born in 1847, the industrialist was, like Werthen, just two generations removed from the land and from his Jewish roots. His father had run a successful dry goods business and converted to Protestantism. Instead of following the family route into business, Karl Wittgenstein became a draughtsman and an engineer and went to work for the Teplitz steel-rolling mill in Bohemia. By a mixture of hard work, overweening ambition, and a willingness to take huge risks, Wittgenstein built an empire from this humble beginning. Five years after starting work as a lowly draughtsman for the Teplitz Rolling Mill, Wittgenstein was running that business. He sold train rails to the Russians during the Russo-Turkish War of 1878, making a huge war profit for his company, and staged another coup by gaining sole European rights to a revolutionary steel-manufacturing process. With these rights in hand, he leveraged other businesses, acquiring the Bohemian Mining Company and then the Prague Iron Company, creating a vertical monopoly in steel production in the Czech regions of the Austrian Empire. He repeated this success in the German regions with purchase of the Alpine Mining Company, and at the same time established the first rail cartel in Austria. It seemed to many that Wittgenstein had a finger in every economic pie in the empire, with seats on the boards of powerful corporations, including the Creditanstalt, the most powerful bank in the monarchy. Then, in 1898, amid a firestorm of criticism over his shoddy treatment of workers, his monopolistic practices, and his attempts to artificially drive up the price of his steel stocks, Wittgenstein stepped down from the directorship. He became a patron of the arts, but knowledgeable observers knew that he still had a strong hand in the day-to-day operations of his far-flung industrial empire. His home at Alleegasse 16 had become one of the foremost salons in Vienna. Johannes Brahms premiered his late clarinet quintets here; Klimt and other members of the Secession first presented their work to the public in the immense rooms of that city palace. Through marriage, the Wittgensteins were connected with lawyers, doctors, industrialists, and ministers. Herr Wittgenstein could obtain a visa, an introduction to a general, medical advice, or an inside tip on investments with a simple telephone call. 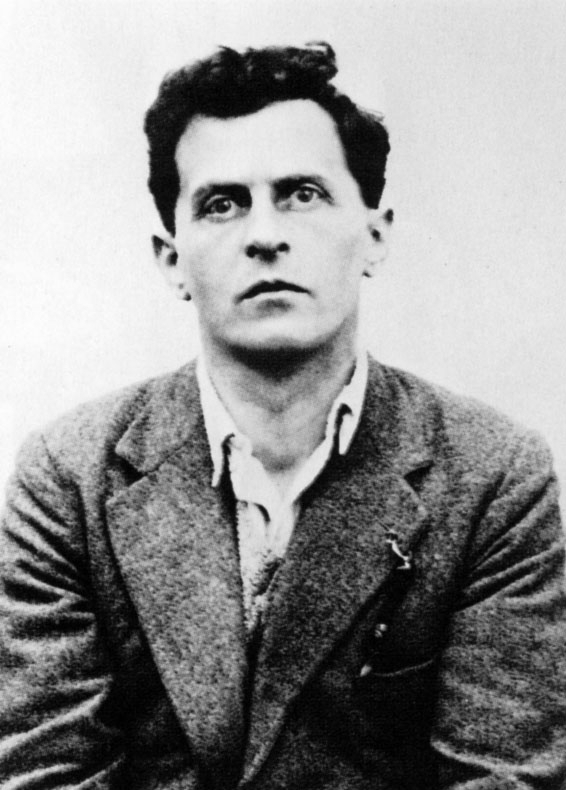 The eight Wittgenstein offspring who survived childhood were all accomplished musicians; Ludwig and his brother Paul, the famous pianist who lost his right hand in World War I, were the youngest of the lot. A group of six older siblings led less than charmed lives, with three of the brothers committing suicide. 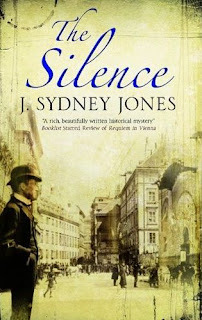 In The Silence, we meet the family as things are beginning to unravel; one brother has hopped it to New York while another contemplates a similar move in order to avoid being swallowed whole by the family business. A peculiarly Viennese story, then, as even young Ludwig, or Luki as he is called, is introduced to harsh realities of life. Not to give too much away, but it is Luki who, word-conscious even as a child (he did not start talking until the age of 4), provides Werthen with a valuable clue and who, as the investigation begins to wane, pleads for justice and persuades the investigator to carry on despite all odds. In a sense, Luki performs for Werthen what Pope Paul VI did for me so long ago--absolved me of past sins (mostly of omission) and set me on a new path. A pope’s inadvertent blessing and a philosophy class taken more by accident than design: these are part of the story behind the story of The Silence.